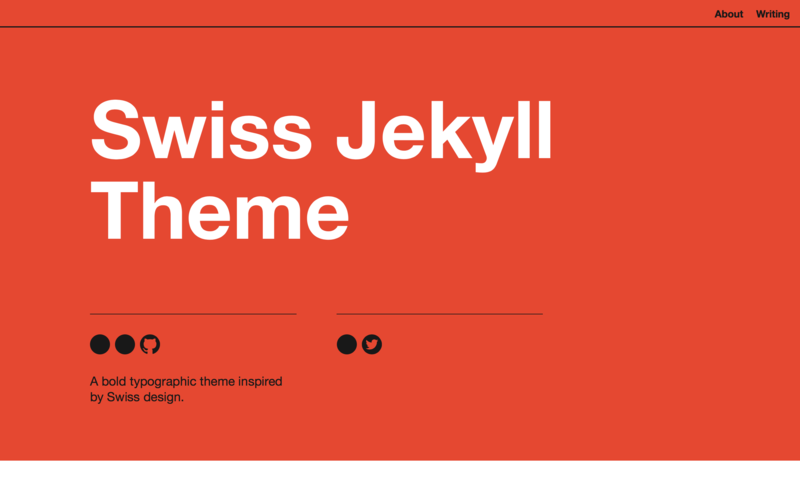 Swiss is a bold Jekyll theme inspired by Swiss design and the works of Massimo Vignelli. This theme lends itself well to sites heavy on written content. Mobile-first design ensures this theme performs fastest on mobile while scaling elegantly to desktop-size screens. 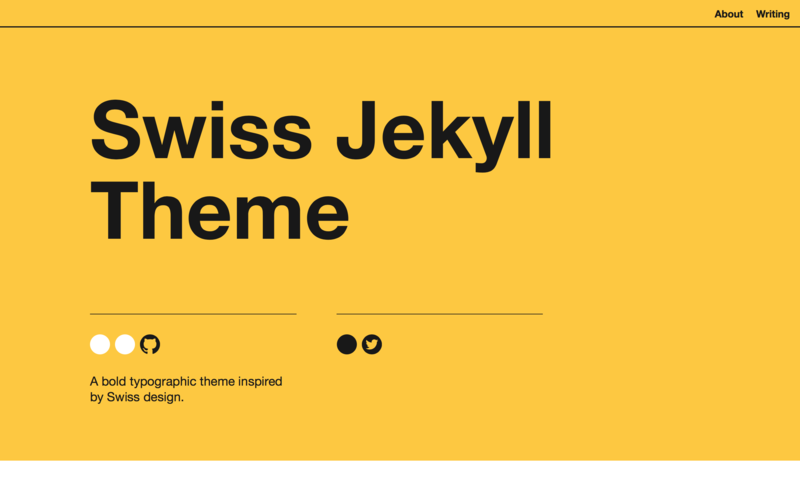 Designed for blogs and sites heavy on written content, with bold typography styles, homepage summaries, and previous/next snippets. Supports a wide range of HTML elements and markdown. 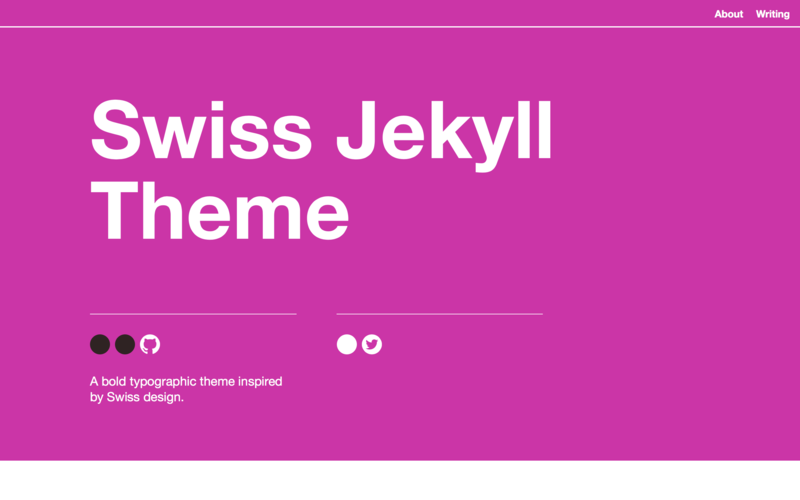 Flexible styles that can be reused for customization without adding additional CSS. Dynamically generated navigation links. See docs for adding pages with specific post category for-loops. Bug reports and pull requests are welcome on GitHub at https://github.com/broccolini/swiss. This project is intended to be a safe, welcoming space for collaboration, and contributors are expected to adhere to the Contributor Covenant code of conduct. Generated on Thu Apr 4 15:40:23 2019 by yard 0.9.19 (ruby-2.5.1).